Hello Wench: Dollar Store Haul! Last night I had to make a run to the dollar store to pick up some things I needed for the house, so while I was there, I went a little crazy in the beauty section and picked up quite a few things. 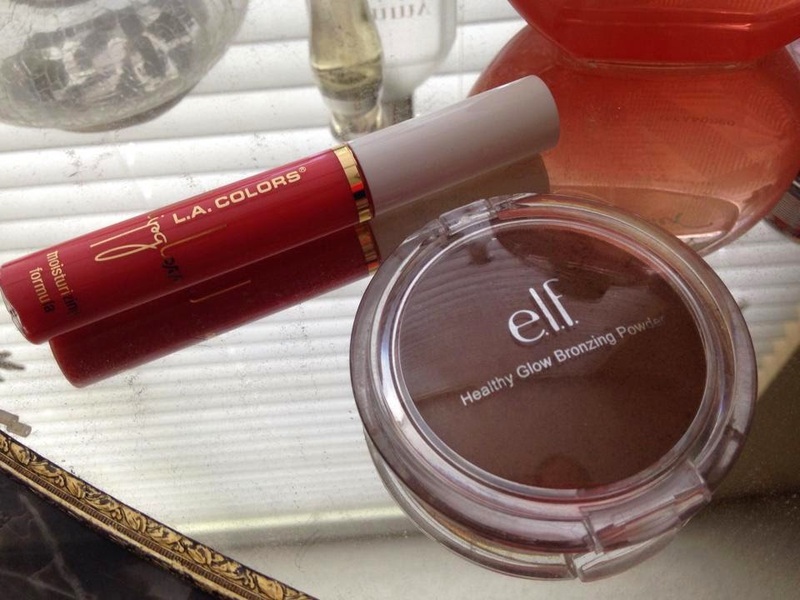 I love my dollar store because they'll carry elf, milani, and other brand items! Granted most of these items are off brand or drugstore, its still quality items for only a dollar! I have been LOOKING for these trios from L.A. Colors for like FOREVER since I picked up the Orchid trio about a year ago. I've featured the Orchid trio in multiple FOTD's because I really do love it, and I wanted to try a couple more but haven't been able to find it. Imagine how excited I was when I came across these trios in the dollar store! I immediately grabbed the first one I saw which was Water Lily trio. It has this pretty blue-green color, a pretty lavender color, and a lovely light blue. I can't wait to use it and test out some looks! The other trio I picked up was the color SunFlower. Its a really neutral trio with a deep brown color, a rust color, and then a light gold highlight. It's going to be awesome to use as another everyday look alongside the Orchid trio. L.A. Colors has a WIDE variety of colors with these trios and I'm hoping to run into a few more soon! The top beauty item another L.A. 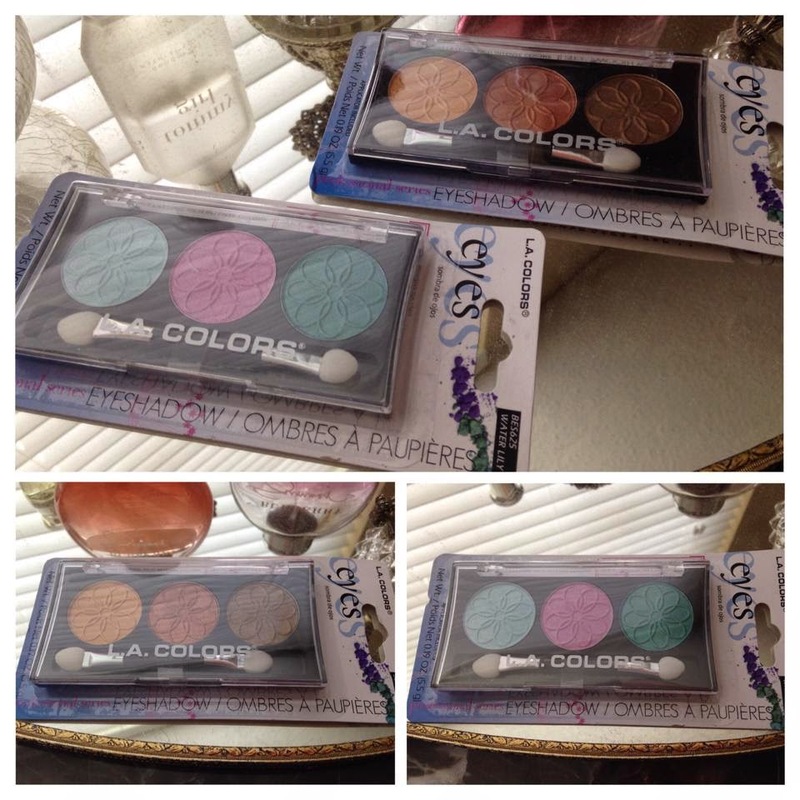 Colors products, and its a pretty coral colored lip gloss. Overall its a pretty sheer lipgloss, and is lovely gloss to put on top of some of my lipsticks. The other item is something I was pretty surprised to see at my dollar store, was an elf Bronzing powder. Its definitely wayyyy too dark for my skin tone, but I picked it up anyway. I use a very light hand when applying this to my face. I know I should just buy a bronzer that is the appropriate color to my face, but I can't seem to find one that fits my budget and my face. So for now, this will just have to do. Listen, my dollar store has lots of them, I can't help it. 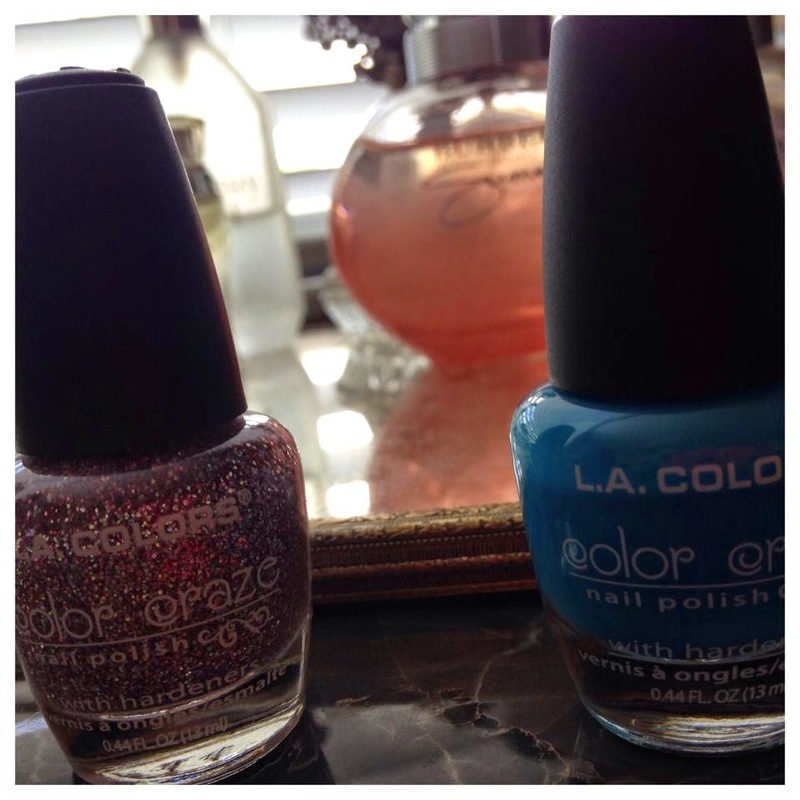 I actually didn't pick either of these colors out, my fiance found this blue color and he fell in love with it, so apparently I just had to get it. He was then picking out a glitter to go with it and he had a blue glitter and this pink one in his hand. I obviously picked the pink one, but haven't used them in tandem yet. I put this color on my nails the next day and I have to say the blue color is a really pretty and he did do a good job picking the color out. 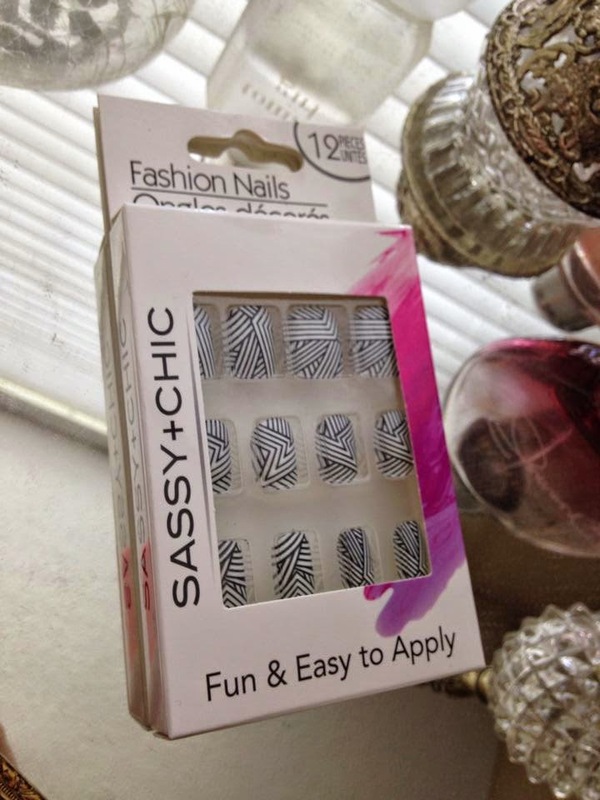 More nail products! These fakies are so cool looking I just couldn't pass them up. I'm tempted to go back and get another black and white patterned one I saw with little dots. The super glue is to put them on! 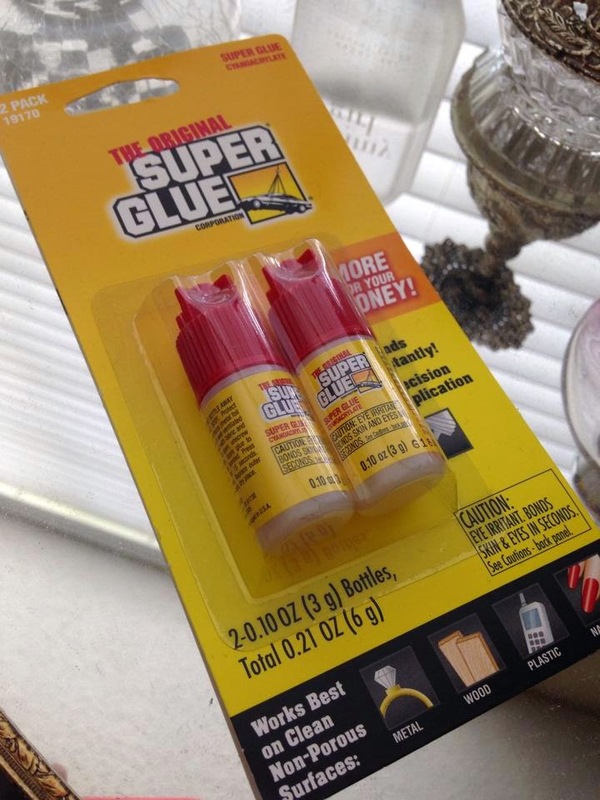 Lets be honest, super glue and nail glue is practically the same thing. Only you pay more for a smaller amount of adhesive in nail glue than you would for super glue. And I've actually already used the super glue before I even applied the nails! My palladio liquid liner brush came disconnected from the screw on part so I super-glued it all back together. I was not going to let a perfectly good palladio liquid liner go dry because of a fault in how the packing was made. Overall, I'm really happy with my purchases and I hope to show you guys how I'm using these purchases later!